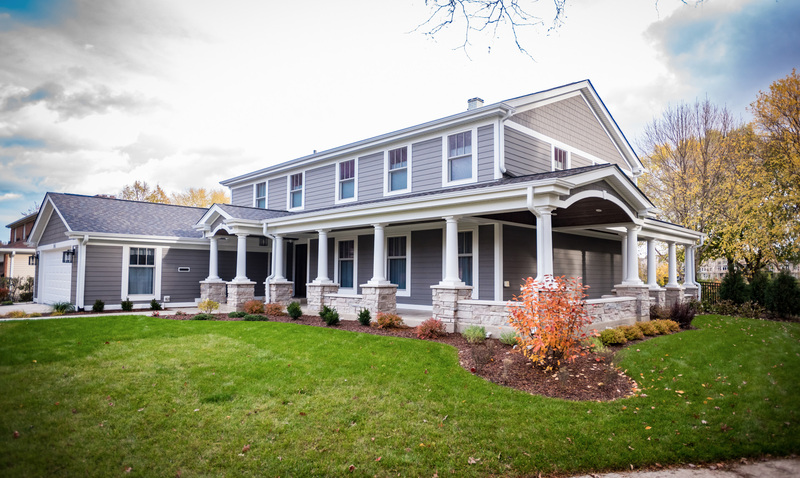 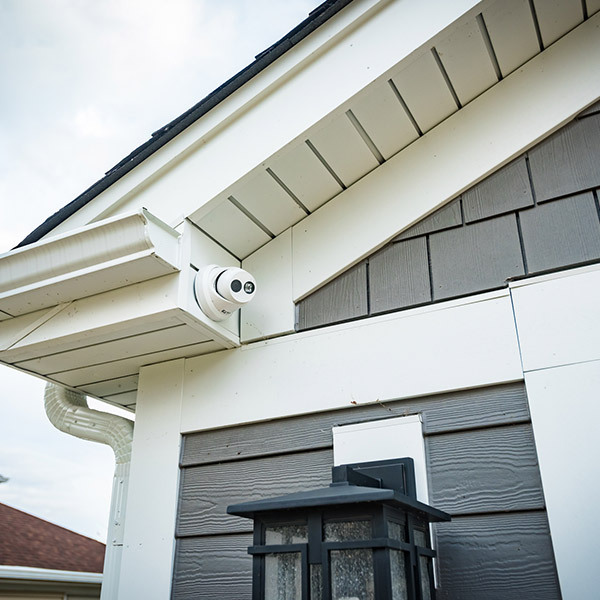 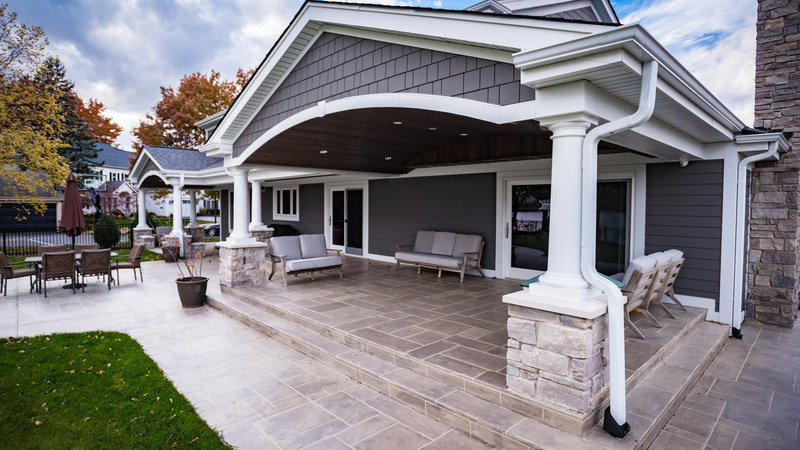 This Palatine couple brought the living room outside with the addition of a gorgeous wrap around porch and multiple covered seating areas. 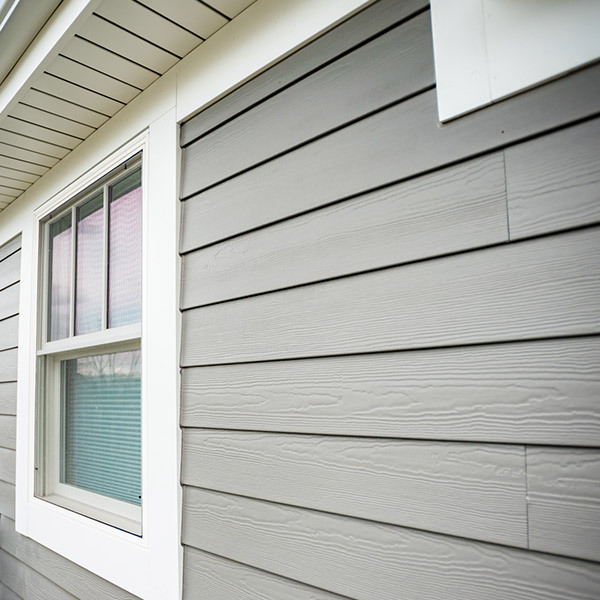 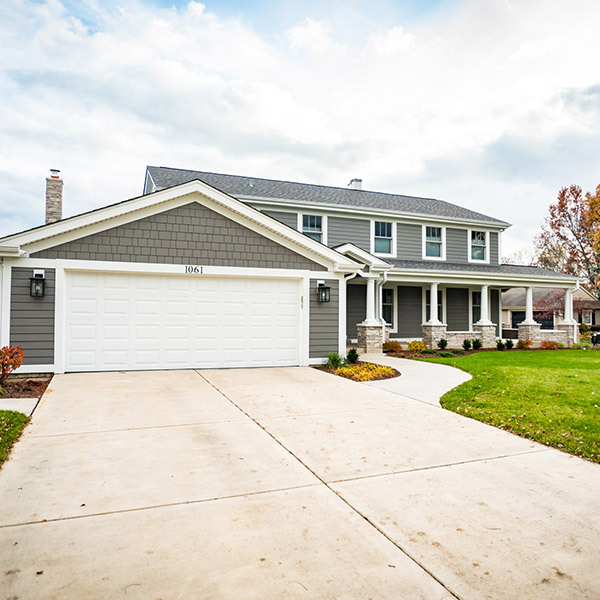 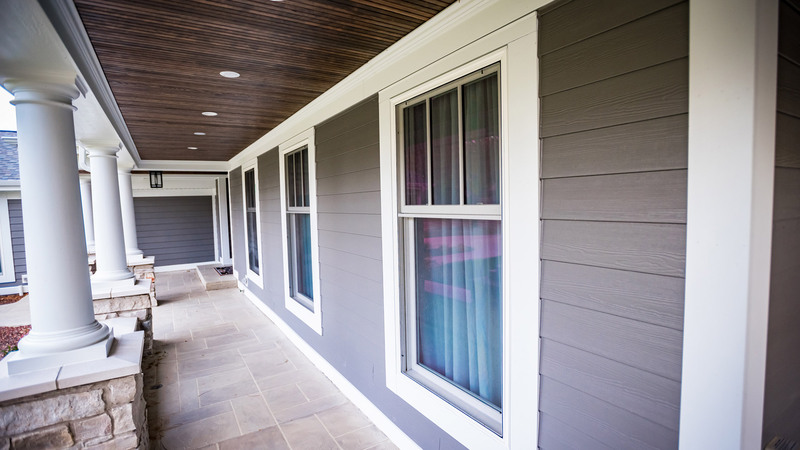 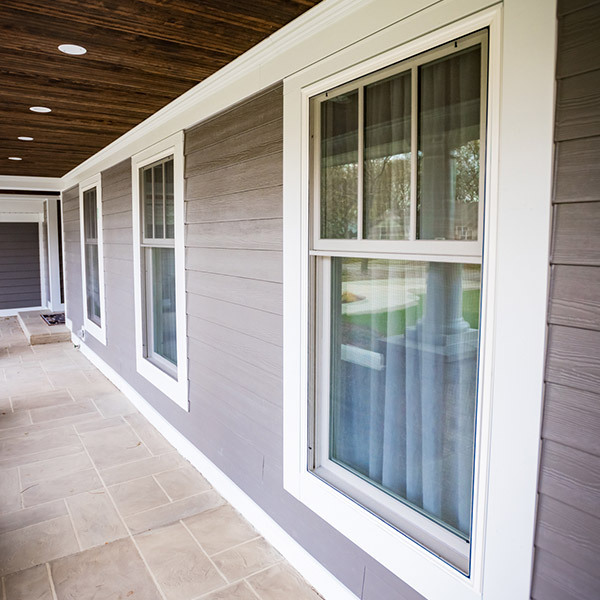 The additional exterior space is complemented by new fiberglass windows with James Hardie trim in Arctic White and siding in Aged Pewter. 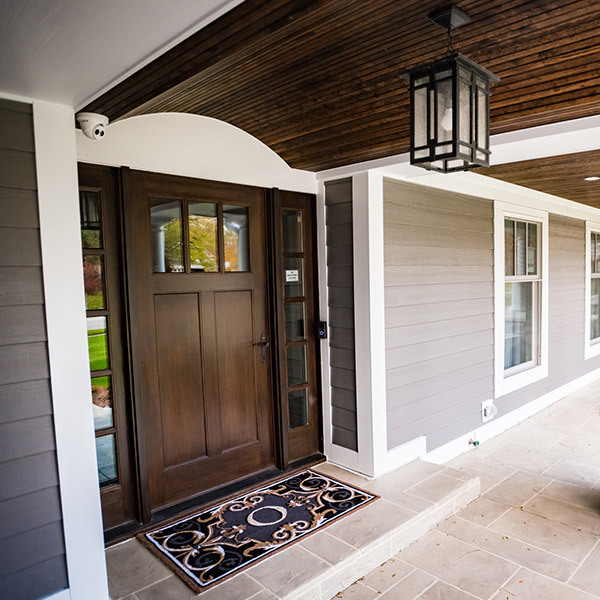 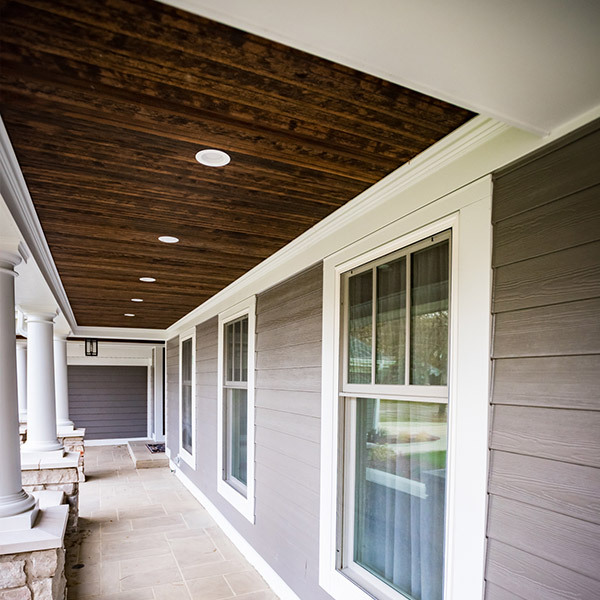 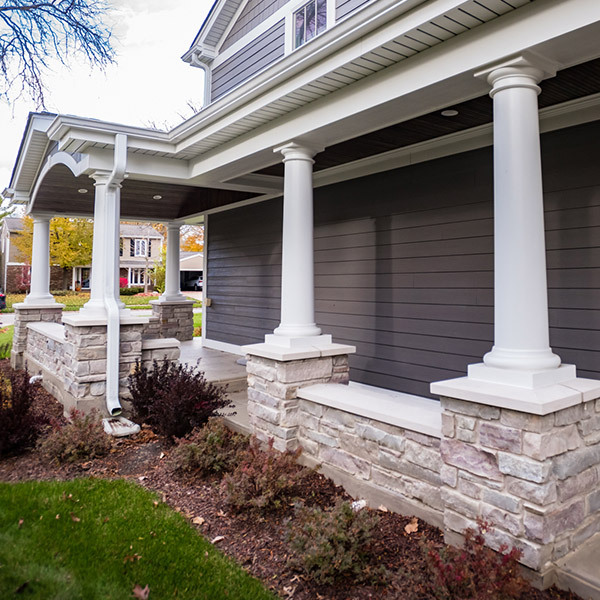 A new ThermaTru door matches the stained beadboard ceiling in English Walnut and the and sixteen columns with stone veneer bases bring an elegance to the outdoor space.